Wine from Mendoza is more than just Malbec: it is the reflection of a know-how, a tradition and an origin. Founded in 1995 by a consortium of prominent Italian winemakers, including Alberto Antonini of Antinori and Antonio Morescalchi, Altos Las Hormigas has always been evolving. Their Terroir Project is working towards the creation of an appellation system in Mendoza, while showing Malbec's diversity of expression according to its origin. Based on this philosophy, their portfolio shows the tremendous versatility of the Malbec, from fresh, fruit driven Mendoza Clásico from Lujan de Cuyo to the structured and mineral Malbec Reserve from the Uco Valley. Along with Malbec, Altos Las Hormigas has been crafting Bonarda for 10 years, Argentina's second most planted variety. They display its joyful and delicate nature under the classic line Colonia Las Liebres. 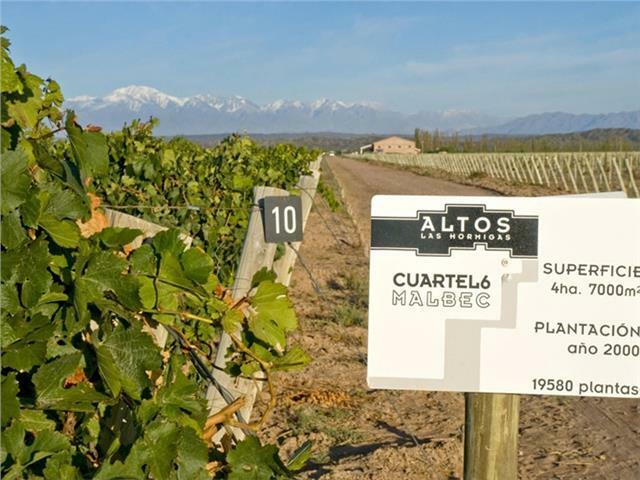 In 2012, Altos Las Hormigas took a significant step in their ongoing evolution from boutique value winery to the terroir-driven, serious player in the world of Malbec that they are today. After seeing the potential for wines of consequence in the Uco Valley, the team decided to stop using new oak and small barriques for all of their wines; instead going with older, untoasted, large oak foudres across the board. This decision has allowed for much more expression and elegance, especially on the sublime Appellation series of Malbec, which features the limestone-driven Uco Valley sites of Gualtallary, Altamira, and Vista Flores. They've teamed up over the past decade with Pedro Parra, PhD in Terroir, to use various techniques to find both the ideal sites for their wines as well as a way to measure the ideal ripeness of their fruit. With Parra's guidance, the team at Altos Las Hormigas has dug over 1,500 soil pits in the Uco Valley, chasing the chalky Mendoza gold that is limestone, which imparts a beautiful minerality to Malbec. In Gualtallary, Altamira, and Vista Flores, they have found the limestone trail, where the vineyards have shallow topsoil and the vines dive deep into the calcareous mother rock. They also use electromagnetism to map out the soil depth of their vineyard sites so that they can avoid picking a whole block where, due to the warm and hilly vineyards of Mendoza, there may be some underripe and overripe grapes in addition to the ideally ripe grapes. Instead, they use that information to harvest in irregular polygons, and pick the fruit with ideal ripeness in every section.